If you’re in the market for any new car there’s a pretty high chance that you’ll place good fuel economy high up on your list of priorities, which will mean a diesel engine for most. Diesel powered cars, however, are not the best solution for all drivers. Those who have a low overall annual mileage and those who make a lot of trips in and around towns won’t see the benefits of a diesel engine. On top of that it could take quite some time to pay off the difference in cost with any fuel economy advantage. For low mileage drivers the most cost effective solution is a petrol-powered car or a hybrid, so we’ve tracked down ten of the most frugal petrol powered cars available based on official fuel economy figures. For this list we’ve omitted plug-in hybrid-electric models because they depend on electric power and the availability of chargers to deliver their best fuel economy, unlike more typical hybrid models. Additionally, because more cars manage 68.9mpg than would fit in the list we’ve filtered those cars by lowest price. The hybrid was once a rare thing, but now hybrid power is fairly common – not just in swoopy-bodied eco machines like the Prius, but in hatchbacks like the Yaris. It is fitted with a 1.5-litre engine and an electric motor. 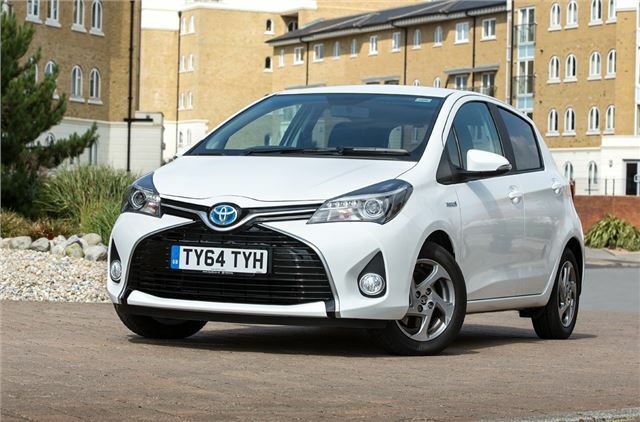 The official economy figures put the Yaris Hybrid averaging 80.7mpg but Real MPG puts the everyday figure closer to 60mpg. That’s still a respectable number and as good as many diesel-powered cars but with the advantage of cheaper prices at the pumps. It would be nice to see a similar version of this article for cars exclusively with a 1.6 or above petrol engine. Its useful for those looking to cover motorway mileage without being forced to buy a diesel.